Anyone who holds assets for the benefit of someone else is in a position of trust. These individual controlling the assets are called “Trustees”, and the people entitled to the benefits of those assets are called “beneficiaries”. There are different types of Trustees: executors, administrators for an estate and attorneys acting under a Power of Attorney are a few examples. To promote clarity and ensure integrity the law requires that Trustees give an accounting for the assets they oversee. Different kinds of Trustees have different accounting requirements. 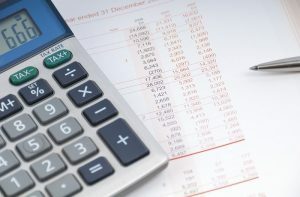 Some Trustees must do it at least once a year, executors and administrators of estates must give an accounting prior to disbursing funds to beneficiaries, and attorneys may have to do it at any time. Requiring Trustees to keep accounts is how the law makes the Trustee accountable to beneficiaries – or in some cases, third parties – for the management of the assets. Keeping accurate and timely records is very important because a Trustee must be able to account for all assets, revenues, and expenses to the beneficiaries or the courts. Failing to do so can cause the Trustee to be liable for any decrease in value of the assets. Keeping and tracking transactions in a timely manner increases the accuracy of the records because the Trustee is less likely to forget details or fail to record transactions. Also, accurate record keeping protects the Trustee from liability and reassures the beneficiaries that the Trustee is being honest and diligent. If a Trustee fails to keep accurate records, they can be found liable for a decrease in assets. This is because a Trustee is required to act with a certain level of care. The Trustee doesn’t need to be a professional accountant, investor, or money manager to meet the standard. The standard is actually lower for individuals who are not being paid for being a Trustee. However, even a Trustee who’s not being paid needs to act with the level of care that an individual would expect from someone managing assets for another person. Accounting helps to show that the Trustee has met the standard required of them. Accurate records are reasonable because the beneficiaries are relying on the Trustee; without accounting records the beneficiaries would have no idea what the Trustee has done. If you have any questions about accounting for an individual or an estate, please contact our office.